According to most statistics by prominent organizations, more than a hundred thousand employees were working in this particular industry in 2018. Most jobs are involved with the extraction of crude oil and gas from depths of the earth. At the same time, some more prominent positions are technicians, geophysicists and petroleum engineers that are analyzing samples and making expert recommendations for drilling sites on the ocean or the land. Apart from that rotary drill operation, derrick operators and unit operators maintain and rig the equipment used to tap underground crude oil and gas. People that are working on wellhead pumps are watching pressure gauges that are piping the resource to the surface. Large rigs will also have to hire support employees such as housekeepers, medics and cooks, but in most cases, third-party agencies are doing that as the form of outsourcing. You do not require a formal education if you wish to work on an oil rig, of course, except engineers and geoscientists. On-the-job training and other certificates are a consideration that is much more important. You will be able to enroll in specific technical schools that will provide you oil rig training that will cover rigging safety, OSHA regulations, laying pipes and winching, that will help you get a job offer in oil and gas industry. Visit this link: https://www.osha.gov/law-regs.html to learn more on OSHA regulations that you should follow. We have mentioned above that all workers and employees must complete a three-day BOSIET program that will teach first aid, safety regulations, crisis response, correct use of hazardous materials and other skills such as traveling in helicopters for the first time. You will also have to complete HUET (Helicopter Underwater Emergency Training), which is a one-day course that will help you understand how to escape from a helicopter during an emergency landing. FOET (Further Offshore Emergency Training) is also available if you wish to get more advanced information such as firefighting techniques and survival skills. 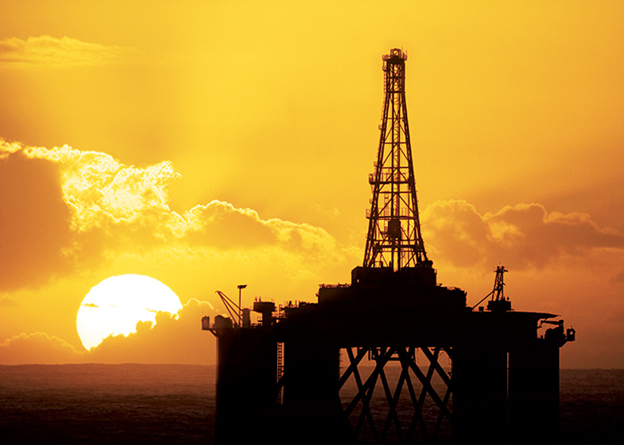 The main reason for the high salaries is due to significant risks and demands when it comes to working on the rig. Employees in this particular industry can ear averagely $50 per hour, which is a significant consideration when compared with other industries and career opportunities. You will have to work more than forty hours per week but not all year long due to regulations. You will need exceptional physical and mental stamina so that you can work on an oil rig with ease. Have in mind that the platform tends to operate all day long and shifts do not go below twelve hours daily. You have to stay completely alert and focused all the time, even when tired so that you can avoid accidents and mistakes that could create havoc. You will also be away from home for weeks, and that will be your routine working schedule. At the same time, weather conditions are harsh, and it can get severe during the summer and winter days and nights. Since you are going to work next to heavy equipment, have in mind that gas and oil can combust and create devastation that is even more significant. Industrial accidents, explosions, and fires are common on offshore rigs and claimed the lives of numerous workers from the very beginning. Therefore, you will need to learn from the start, so if you wish to be more skilled personnel, you will require years of experience to get a hold of it.